Following the end of the brutal Khmer Rouge regime, and two decades of relative stability, Cambodia boasts one of the fastest growing economies in Asia. Médecins Sans Frontières first started working in Cambodia in 1979 following Pol Pot’s brutal leadership of the country. Our projects focus on tackling malaria, hepatitis C, and tuberculosis (TB). 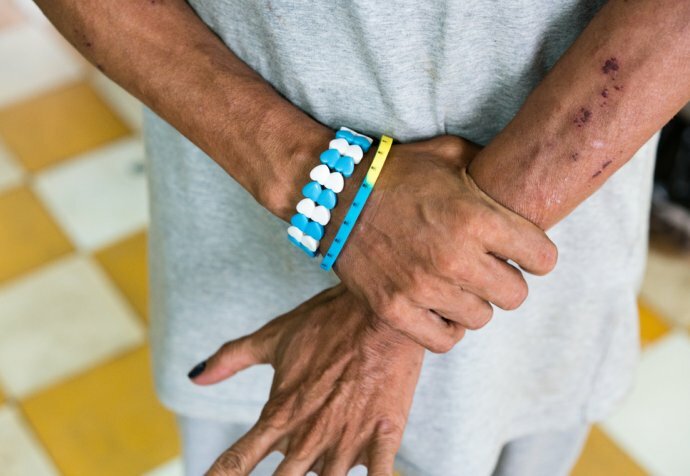 Known as “the silent killer”, many Cambodians are unaware that they have hepititis C. The infection is slow-moving, and symptoms may be delayed for years, meaning it can go unnoticed until serious liver damage has already been caused. Untreated, it can lead to liver cancer, cirrhosis (scarring of the liver) and death. Although the exact prevalence of the disease is unknown, it is estimated that between 2% and 5% of the population is infected. There is no national program to target the disease in Cambodia. MSF launched a hepatitis C clinic in May 2016, offering the first free treatment for the blood-borne virus in the country. 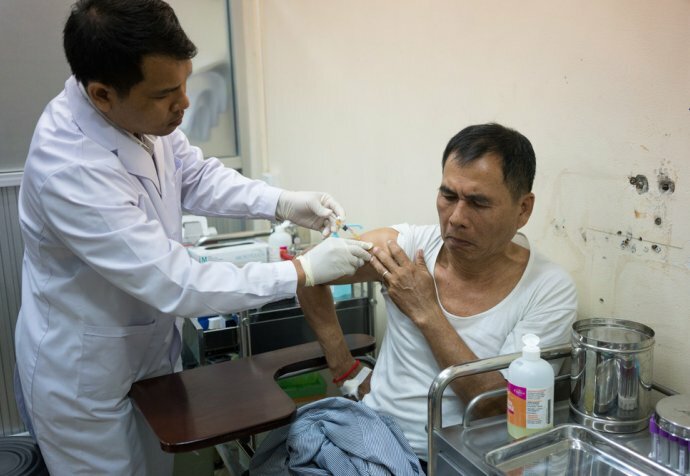 Working alongside the Cambodian health ministry, the project aims to provide the most effective drugs alongside rapid-test diagnostics, and to create a simplified and cost-effective model of care, paving the way for a national hepatitis C guideline and program. MSF opened a second site in the town of Battambang in March 2018. Once considered a deadly lifelong disease, treatment has been revolutionised in recent years with the arrival of new and improved drugs called direct-acting antivirals (DAAs). These medicines are far more effective than previous hepatitis C drugs. They minimise the treatment duration and carry far fewer side-effects. 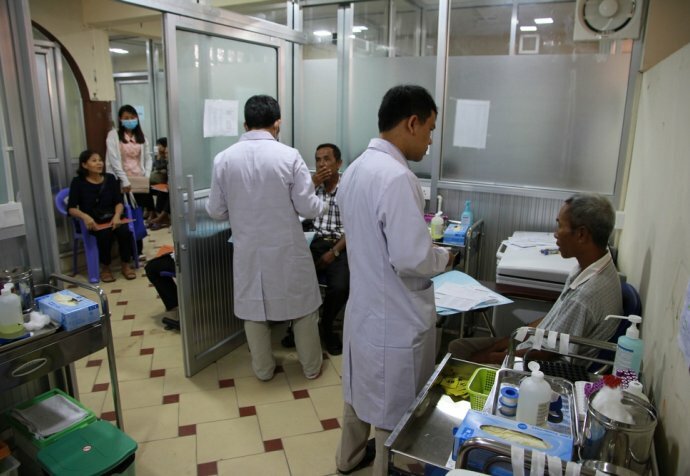 Our project based at Preah Kossamak hospital in the capital, Phnom Penh, aims to simplify diagnosis and treatment, and to demonstrate its cost-effectiveness. Almost two decades ago, MSF and others worked hard to get access to generics and bring down prices for HIV medicines... History is repeating itself with hepatitis C. The medicines we need are again too expensive, but we are finding ways to make treatment affordable so that our patients can be cured. Unfortunately, the high price of the medicines is a barrier to treatment access, and diagnostic costs also present a challenge for treatment providers. Patent protection has kept prices up, allowing companies to monopolise on the drugs, and deny a fair price to hundreds of thousands of people who need the medication to survive. MSF’s Access Campaign champions the idea that medicine should not be a luxury, pushing for access to, and the development of, life-saving and life prolonging medicines, diagnostic tests and vaccines for patients. Our malaria research project in northern Cambodia is identifying ways to eliminate malaria in an area where people have resistance to the antimalarial drug, artemisinin. Teams support testing and treatment in the community and in health facilities, as well as screening for people at risk of infection. The strategy consists of early diagnosis and treatment for people with symptoms, together with voluntary testing of high-risk groups, such as those working in forests or on plantations.